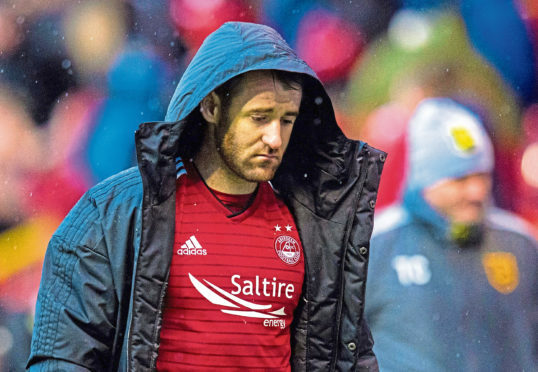 Aberdeen midfielder Niall McGinn faces ankle ligament surgery. Aberdeen midfielder Niall McGinn won’t play again this season after suffering an ankle injury. The Northern Ireland international was expected to start for the Dons in today’s Scottish Cup semi-final against Celtic. But the 31-year-old missed out after picking up an injury in training on Saturday. Aberdeen manager Derek McInnes, speaking to BBC Scotland before the Hampden clash with the Hoops, said: “We got the worst news yesterday.